Following the epic, the third volume lays it out with Kohntarkosz, the 1973 masterpiece which was a decisive turning point in the development of the Vander odyssey. DVD Epok 3, recorded May 26, 27 & 28 at Le Triton. The DVD takes us up to 1979, with extracts from the album Attahk, given masterful interpretations here by a line-up comprised of the present-day core members of the group and the third star guest, Benoit Widemann, who, as always, plays his Mini-Moog brilliantly. 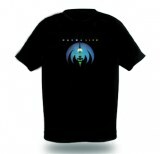 Magma has never stopped innovating, or opening new tracks. 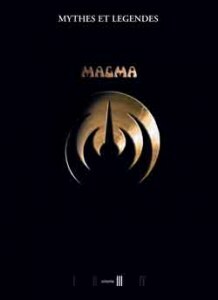 Magma still is Magma, powerful and deep-seated, lyrical and orchestral, unique! 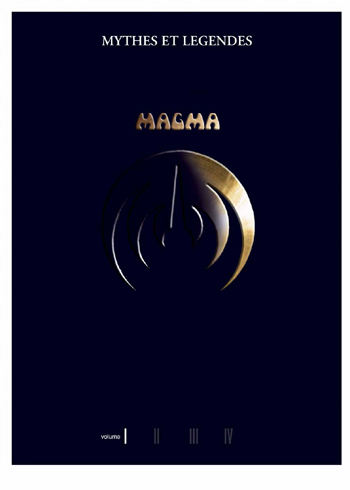 May 2005 Magma took over Paris venue ‘The Triton’ for 4 weeks with an ambitious, over the top project – a retrospective of 35 years of Magma music showcasing some of the best known pieces from the years 1970 to the present.